Cell migration is fundamental in various physiological processes including ontogeny, and is involved in variety of diseases such as osteoporosis, arthritis, congenital brain and heart abnormalities and cancer metastasis. Cell migration is also important for the regeneration of damaged tissues. 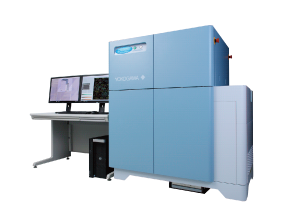 To assess the capability of cells to migrate, the scratch assay is one of the most widely used assay because of its simplicity and inexpensiveness. In this application note, we provide an example of scratch assay by using CQ1. 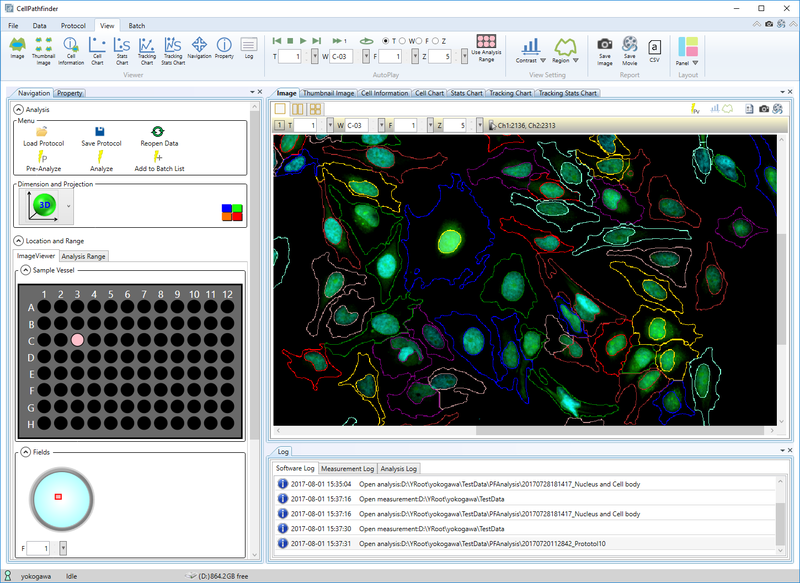 We carried out time lapse live cell imaging to examine the temporal change of the distribution and the number of cells in scratch assay. Figure 1. Time lapse images of monolayer cultures of HeLa cells transfected with Fucci. (A and B) Cultures without (A) and with (B) mitomycin C (MMC) treatment. Upper and lower panels shows large field images and higher magnification images showing recognized cells in the white frame in the upper panels. Red and green labels indicate cells in G1 and S/G2/M phase, respectively. 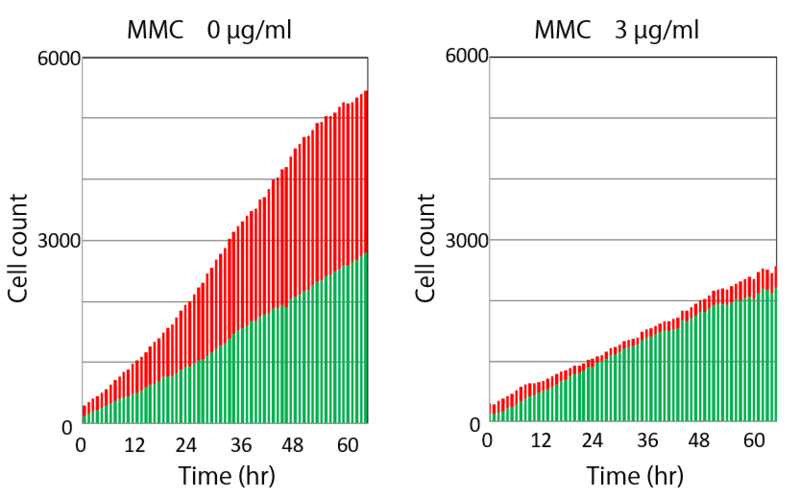 Number of cells in the cultures shown in figure 1 is plotted against time. 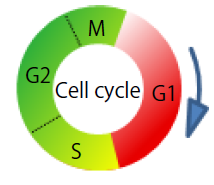 Red and green bars represent cells in G1 and in S/G2/M phase, respectively. A Cell-free gap are created by making a scratch on confluent monolayer cell culture. Then the invasion of migrating and/or proliferating cells into the gap is assessed. • HeLa cells transfected with Fucci were seeded in a 24-well plate (Greiner#662160) and incubated for a day. • A scratch was created with a pipette tip on the confluent monolayer cell culture. • MMC was applied in the well for an hour to stop the cell division cycle then washed out. • Time lapse images were acquired by CQ1 for three days. 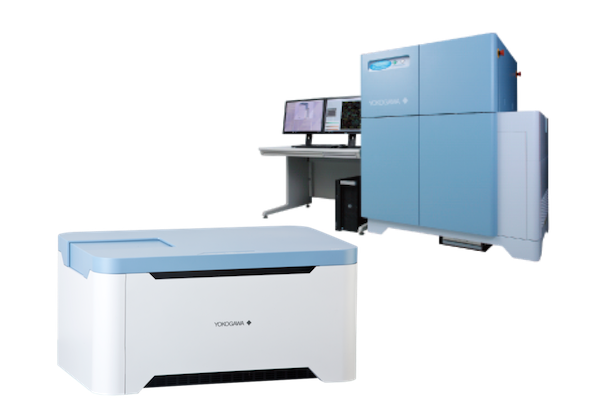 • Image acquisition settings: 10x objective lens, 30% laser power, 500 ms exposure and 1 hr interval. We performed scratch assay by using CQ1 and were able to capture the process of infiltration of the cells into the cell-free gap with time. In the well without MMC treatment, the cell cycle proceeded and the number of cells both in G1 phase and cells in S/G2/M phase increased in the cell-free gap with time, suggesting that the gap was filled with migrating and proliferating cells. The number of cells in the gap also increased with time in the well treated with MMC. However, most of the cells in the MMC treated well were in S/G2/M phase indicating that the cell cycle was arrested. This result suggests that the gap was filled mostly with migrating cells. 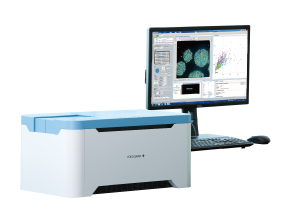 The present experiment demonstrates that CQ1 is an excellent tool for the quantitative analysis of cell migration and proliferation. Fluorescent Ubiquitination-based Cell Cycle Indicator. Cells transfected with this probe emit red fluorescence in G1, and green fluorescence in S/G2/M phase, respectively. MMC damages DNA and prevents DNA replication by making DNA crosslinks and producing free radicals when metabolized.